The procedure for buying or selling a leasehold property differs little from the procedure for buying freehold premises. 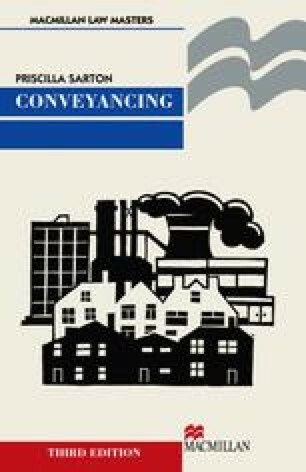 This chapter, therefore, serves only to point out those parts of a conveyancing transaction which are peculiar to leaseholds, and which have not yet been mentioned. [Note that this chapter is dealing with the purchase of an existing lease. The grant of a new lease will be dealt with in Chapter 17.